One of the most popular production houses down south, PVP Cinema, has its kitty full with several high budget films in Telugu, Tamil and Hindi. On the other hand, the production house is also coming up with a few interesting concept oriented medium budget films. One such project is Kshanam. Kshanam is a thriller which explores the quest for a young girl who goes missing three years ago. The film features Adivi Sesh, Anasuya and Satyadev in prominent roles. The film’s first look posters, which were unveiled recently, got a decent response. The film’s unit has already kickstarted a huge promotional campaign. To intensify the buzz surrounding the film, the makers will be unveiling the film’s trailer on February 10, with the Brahmotsavam pair, Mahesh Babu and Samantha, doing the honors. 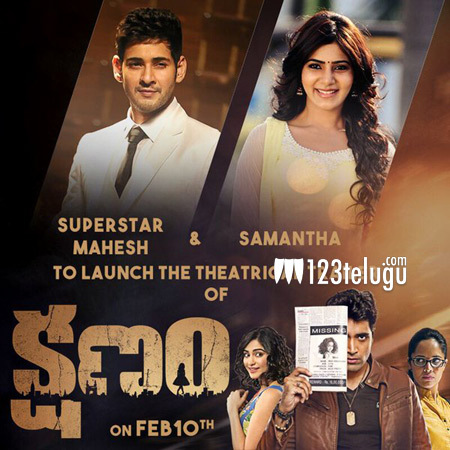 Kshanam is directed by debutant Ravikanth Perepu and the film is all set to release on March 4.